We offer the latest in electronic technology with our dancer tension system. Constant tension is vital for web guiding, decurling, and control of sheet length. Our dancer tension system isolates web shock caused by out of round rolls or binding brakes. 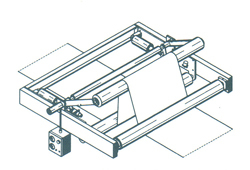 Simple to operate, with the output controlling the unwind brake. Modeco, Inc. offers decurl systems for all web materials. Roller bar technology allows coated or sensitive webs to be made flat. We offer motorized controls allowing the operator to control the amount of decurl his work station. 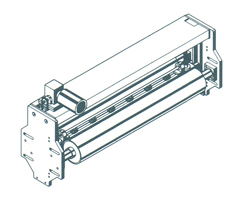 Modeco Inc. also has double direction assemblies allowing decurling from either direction without stopping to reweb.